The additional return service to Okinawa (Naha) will start from 15 November 2018, ahead of one of the busiest time of the year, the year-end school holidays.Since the inaugural service into Okinawa (Naha) a year ago, Jetstar has welcomed thousands of passengers on the route. Adding a new service in just a short span of time is testament to how popular the destination has become to Singapore residents and beyond. The new service, timed at the start of the Singapore school holidays, will operate on Thursday departing Singapore at 2.00am and arriving at 8.00am, while the return flight will depart Okinawa (Naha) at 9.00am and arrive in Singapore at 1.25pm, said CEO of Jetstar Asia, Mr Bara Pasupathi. “We understand how important low fares are to families over the holiday season and the additional service, as well as exceptional on board service, will bring greater value to them. “Okinawa has proven to be a unique destination and our customers have told us how they want to return to the island for not only the culture and cuisine but to explore the many islands including Ishigaki, one of the largest of the Yaeyama Islands in Okinawa for its snorkelling, diving, ocean walking and other marine activities. 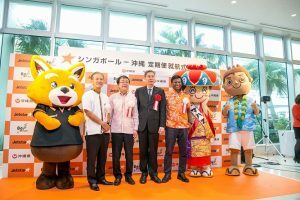 “As we enter our second year of operations to Okinawa, we will continue to work closely with the Okinawa Prefecture Government (OPG), Okinawa Convention & Visitors Bureau (OCVB) and travel partners to promote Okinawa as an all-seasons destination,” said Mr Pasupathi. Mr Takao Kadekaru, Director General of the Department of Culture, Tourism and Sports, OPG is delighted with the growing popularity of Okinawa as a tourism destination for Singaporeans as well as transit point for Japanese when they travel around the region. “I would like to express my utmost appreciation to Jetstar Asia as well as the travel agencies and other partners for their tremendous efforts to promote Okinawa,” Mr Kadekaru said. 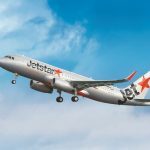 Fares are available for purchase from Jetstar.com from today. Travellers will be able to purchase fares from SGD183. Jetstar Asia currently operates up to 23 services a week to Japan including Okinawa and Osaka. Jetstar Japan currently operates up to nine services a week to Naha in Okinawa from Narita, Nagoya and Osaka in Japan.